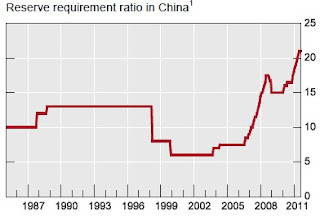 The Bank for International Settlements recently published a working paper on China's reserve requirements. 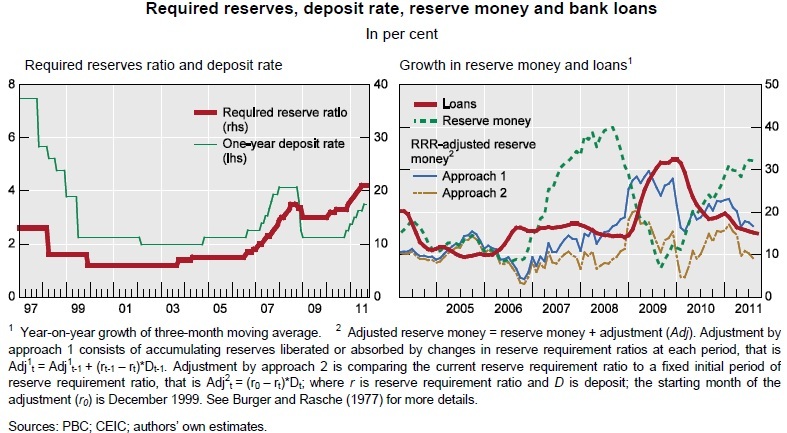 The paper focuses on China's use of the Required Reserve Ratio (RRR) as a key tool in monetary policy in a number of capacities. 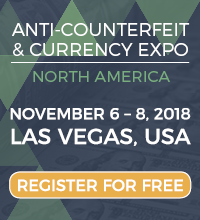 The paper identifies that the RRR has been used as a multi-purpose tool by the People's Bank of China for purposes such as sterilising foreign exchange intervention, influencing credit growth, influencing interest rates, and more broadly as a means of signalling the monetary policy stance (e.g. stimulus or tightening). The authors point out that while the RRR is at historical highs, it could remain at relatively high levels in the medium term, notwithstanding an apparent peak in the RRR. 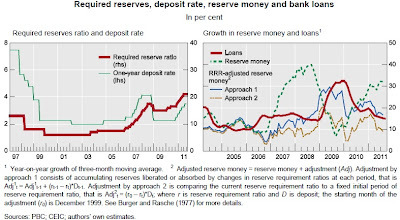 Indeed the authors note: "the outlook for higher reserve requirements may also relate to policy stances of major economies. Given the prospects of an extremely easy policy stance in most major economies for an extended period of time, the possibility of a continued preference for this sterilisation tool over others should not be discounted.20 Overall, China’s reserve requirement ratio appears to be peaking in the current tightening cycle." The paper provides a timely insight into one of the key monetary policy tools (along with interest rates) used by what is now the world's largest economy. Indeed, there is much discussion around when China will begin to turn its policy settings from tightening to easing as inflation in China shows signs of moderating, and global growth concerns paired with various other risks in China e.g. a weakening property market, and recent rapid loan growth, present downside risk to the growth and inflation outlook.